Washing the waterproof garments and gear can be a messy job and it might not be good for the gear itself. 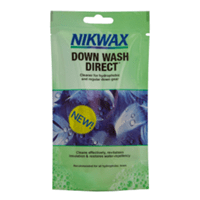 You can use the Nikwax Tech Wash to overcome this issue. Grab a free 100ml sachet of this product by taking a fun quiz. Click on “GET IT HERE” button and read detailed instructions on next page on how you can get this freebie.